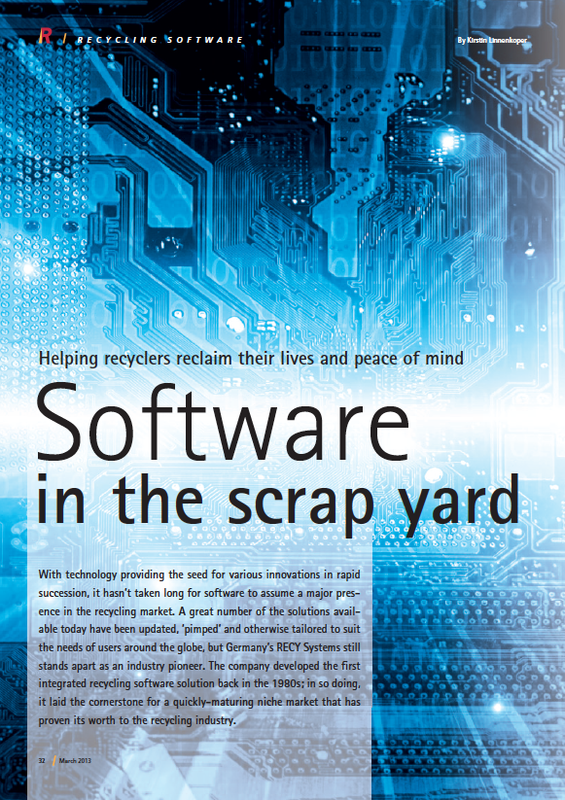 In case you missed it, the March issue of Recycling International put together a fantastic feature article on software in the scrapyard featuring, yours truly, 21st Century Programming. As a recognized world leader in software solutions for the recycling industry, we were asked to contribute our knowledge about how automation improves efficiencies in the scrap yard resulting in improved functionality, shorter ticket times, fewer wasted hours and bigger profits. 21st Century Programming does not pay for these placements. All news articles written on behalf of 21st Century Programming are just that - news - direct from the industry's leading experts. Don't have a subscription to Recycling International? No problem. Click the thumbnail image at right to download a pdf copy of the article 100% gratis. Next: Important questions you should ask when shopping for a software provider Previous: A Recycling Program You Can Bank On!